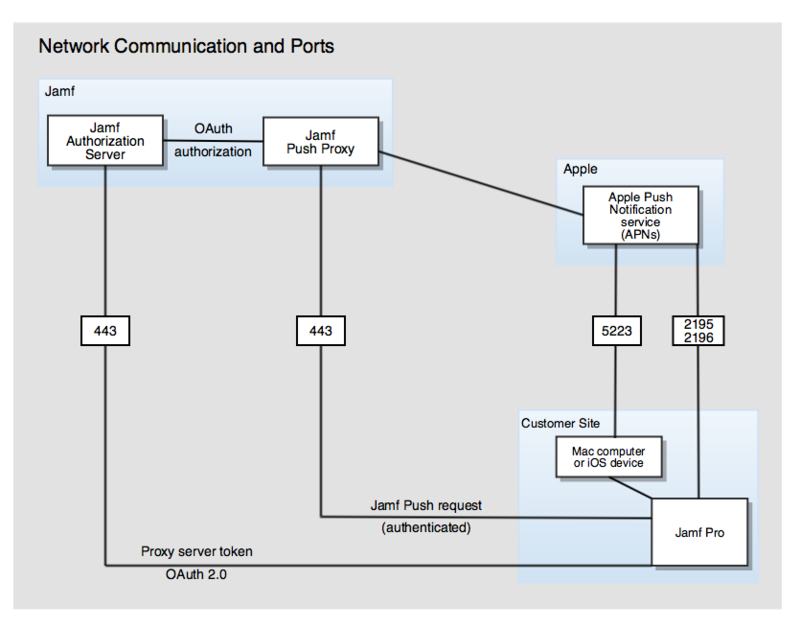 The Jamf Push Proxy enables communication between the Jamf Pro server and devices with Jamf Self Service installed. This communication allows you to send Notification Center notifications to computers and mobile devices with Self Service installed. To request or renew a proxy server token, you need a valid Jamf Nation account. Select Get proxy server token from Jamf Authorization Server. Follow the onscreen instructions to get the proxy server token and upload it to Jamf Pro. Note: The proxy server token will be renewed automatically, however, the following steps can be used for troubleshooting purposes. Click the push proxy and then click Renew.